Early on, Lara realizes that her mother was not transported to Avalon after all, but to the Norse underworld, Helheim. In order to enter that realm she must obtain a powerful artifact: the thunder god Thor's hammer, Mjolnir. As the travels the globe seeking clues to the hammer's location, Lara discovers connections between the underworld myths of various cultures. The Hindu Bhogavati, the Mayan Xibalba, the Norse Niflheim, Valhalla and Helheim all have real-world counterparts, and Lara must brave the hazards of each location so that she might find the hammer and, ultimately, the truth. 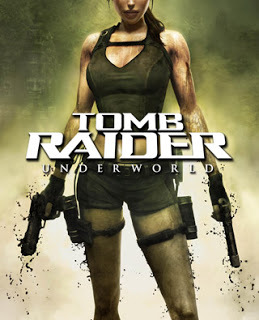 Lara's old rivalry with Amanda Evert, left unresolved at the end of Legend, figures prominently in the Underworld plot. Lara's friends and helpers, Zip, Alister and Winston, return as well. There's even some unfinished business from the games' early days.